Your teen is the light of your life, until they’re not. Of course you’ll always love them, but when they do something wrong, it’s your job to correct, guide, and put them on the right path once again. You want what is best for them, which means you need to give them the best support, guidance, and discipline you can. 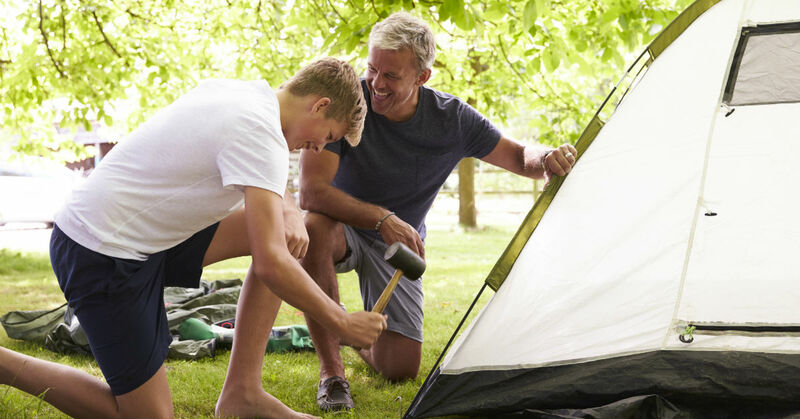 Parenting is not a one size fits all situation, but is dependent upon the needs of the person, and as a parent, it is your job to discern what those are and then make the necessary calls for your teen to remain healthy and happy and well-behaved. It seems menial, but it’s true. If you pay attention to your teen and learn how they react when their needs are not met, you can find the root of their suffering more easily. Do they get hangry just like you? Anxious when tired? Pay attention to which of their needs are most important to be met. Learning and listening to their love languages will help you know what to remedy when your child is feeling unloved and acting out. According to Dr. Gary Chapman, the 5 Love Languages your teen can have are physical touch, words of affirmation, quality time, gifts, and acts of service. Knowing how they accept and give love is crucial when disciplining bad behaviors and rewarding good ones. Animals possess something called “mirror neurons” in their brains, which causes them to do just that—copy an action they see in someone else. Mirror neurons cause us, as humans, to do something similar. They are the reason we might mimic a behavior we see, or why we feel empathy if something bad happens to someone else. Research shows these nerve cells are the main reason why we tend to do the things we see others doing. Modeling proper behavior to your teen is essential for parenting success. Your children spend a lot of their time observing your behavior, so when they see something, whether good or bad, their impressionable mind is bound to recreate it, whether you like it or not. The world runs on limits, and we can choose to obey them or not. If your teen asks to borrow your car, they are then responsible for it, as well as its needs. If they neglect to fill the car with gas, the car will then go empty and they could end up getting stranded somewhere. This is where boundaries as well as consequences come in. If your teen blames you or becomes angry that the car ran out of gas, you can gently inform them that taking the car meant that you placed it in their care for that time, meaning it was their responsibility to look after its needs. You can kindly offer to pick them up, but they will need to do chores to pay for the gas they used. This establishes a boundary, as well as helps them to identify the consequence for their behavior. Boundaries are important to have in place to separate your role as parent from child. Sometimes you get to the point where you are so tired, stressed, or just plain worn out that you let your parenting slip a little bit, and take the phrase “pick your battles” to the extreme of not picking any battles. Sometimes you get to a place where it’s easy to let all of your teen’s behaviors slide, good or bad. It’s important to find ways to still be confident in your role as their parent, and to help them understand that, while you trust them, you are still responsible for their well-being. Parenting when your teen only wants to fight with you is taxing, both emotionally and physically. It can take all your strength to just keep on keeping on. The important thing is to always do the best you can, even when it seems like very little. Be proud of your efforts as a parent to someone going through so many changes in all areas of their life. Remember that they will eventually look back on their teenage years and thank you for putting up with their unruly behavior (we hope). The reason teens are difficult can be traced back to basic biology. Their bodies go through tremendous change during those years between childhood and adulthood, as well as their brains. Because their frontal lobe is not fully developed, teens do not make decisions as well as adults. The frontal lobe of the brain is where emotions and impulses are controlled, meaning teens are not as able to control them as well as someone who has a fully developed frontal lobe, like you, their parent. This can also be a reason teens tend to take more risks than adults tend to. The teenage brain is driven by the rewards center, which means they want instant results to their behaviors, especially pleasure. Talking to your teen about what is going on in their brain and with their body, could actually prove to be a great way to discipline them. Not only will it help them understand what they did was wrong, but the “why” behind it. If they understand the why behind the things they have been asked not to do, they are more likely to comply. There are times when teens need more help than you and your partner can give them at home. You’ve tried everything you can think of, and more. Seeking help from professionals can prove to be your only option if you have run out of methods you can handle in your own home. Luckily, there are many routes you can take when seeking help from outside sources. Residential treatment can be just what your teen needs to sort out his behavioral problems if you find that having him spend time out of your home could be for his benefit. There are also several alternate programs that could implement healthy behavior corrections that could only influence your teen positively. If your family is being negatively impacted by your teen’s behavior, then it is time to take action.